Family Portrait Editing - The Hard Choices. When you have over several dozen ‘keepers’ and trying to decide which of the keepers are real keepers, and then which one(s) deserve to be printed, or shared, is a difficult choice. As finished product from a family portrait photo shoot session, I often provide a host of images, usually well over several dozen, from which to choose the ones YOU really like. You have the digital files for them all, so can print whichever one(s) you like, at what ever size you like, at cost to you from your favorite store or lab. And yet, there are going to be some you like more than others, and some others like more than you. Choosing which to put aside and which to keep as keepers is part of family portrait editing – the hard choices. And those hard choices I leave to you within the collection of images from Maui Island Portraits. 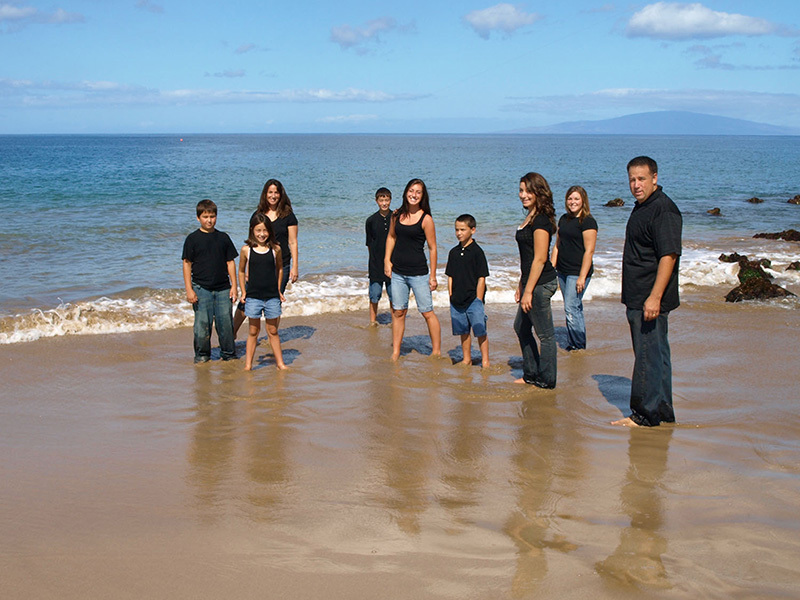 Looking back to the beginning of Maui Island Portraits in 2008, in which year there were few family portrait sessions, I found an image out of about 100 I like, that I would say is the one standout image of that year. It is representative of what we provided in 2008. Wait till you see 2009’s choice(s), out of several hundred. Let’s Trash The Dress on Maui!